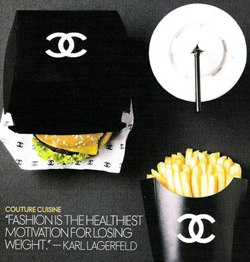 Diets and fashions are two of my favorite subjects. Both are something that I deal with on a daily basis. Posted on February 1, 2012, in Outfits and tagged malang, splendid turtleneck, tweed jacket. Bookmark the permalink. 6 Comments. Yes, I usually wear a cami underneath. I really like basics from Gap. I still have basics from 10 years ago. Is that bad? Or do I need to clean out my closet? I love the tweed jacket on you. Looks great! I agree, I love Splendid basics, they last a long time! Thanks! That’s good to know that Splendid is long lasting. I want to know that I spent my money wisely on something that will last. I am totally the opposite of you. Turtlenecks seem restricting to me so I have like 1 or 2… Love the jacket, and so glad you found a great line of turtlenecks that are what you are looking for. And what is with the thin fabrics at gap…”tissue” they call it. OMG when I think of tissue it is to blow my nose, and let’s just say those things are not very sturdy sometimes…ewww sorry about that comment. When I was younger, I hated to wear turtlenecks. I too felt restricted. Unfortunately, I kept getting sick with sinus infectiona and tonsillitis. My family doctor also practices in pressure points. He commented that if I wanted to stop the throat infections and such, I should cover up certain pressure points. You have a pressure point on each wrist and at the base of your throat. Meaning long sleeves and high neck shirts = turtlenecks. I had 4 cases of tonsillitis in a year that my doctor said “One more infection and you’re getting your tonsils removed!” I hate having surgery. I never had to have any type of surgery besides dental, so it scared me witless. I now sleep in turtlenecks! Even in the summer.